Elizabeth is now eighteen and on her own but is pulled back to the family farm by a crisis. 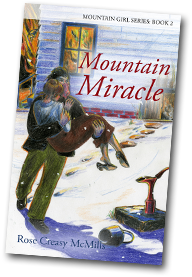 Her beloved Uncle John has fled into the mountains, leaving behind his wife Pearly, stepson Billy, and the newborn baby. No one knows why he left, especially Pearly, whose heart is broken. 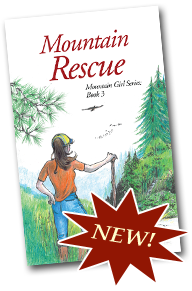 Elizabeth, fully aware of the risks in the mountains, goes after him with Billy, her slingshot, and Velvet the beagle. Will they be able to find John and bring him back? Will the mystery of his escape be solved? Will all survive the perils that lurk in the deep woods? Two years have passed since the events portrayed in Mountain Girl. Elizabeth is now thirteen, and her troubled Uncle John has grown and changed. However, old emotions are stirred up when a young woman from John’s past re-enters his life. Can Elizabeth help her uncle rewrite his past, or will he shrink back into his shell? Elizabeth is also concerned about her grandfather, who is not himself and showing signs of slipping into dementia. The family must work together to deal with the problems that arise as Grandpa loses touch with reality and repeatedly wanders off. 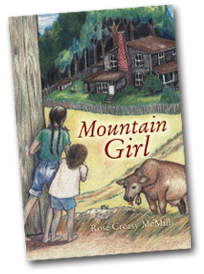 Energetic eleven-year-old Elizabeth eagerly embraces mountain life when she moves with her family to her grandparents’ West Virginia farm in the late 1940s. Adventures abound amid daily chores for this imaginative, inquisitive girl. But Elizabeth’s idyllic life belies family troubles. Family and community alike shun her Uncle John—moody, intuitive, and withdrawn—and Elizabeth wants to know why. Can she forge a connection with Uncle John and will she be able to do it in time? Music, family ties, belief in God, farm animals, meals straight from the land, the beauty of the surrounding hills and the rich mountain culture play more than a supporting role in Elizabeth’s story.